Hello lo – I have two salads in quick succession for you today – both prepared for Fairfax newspapers and appearing around the country today. 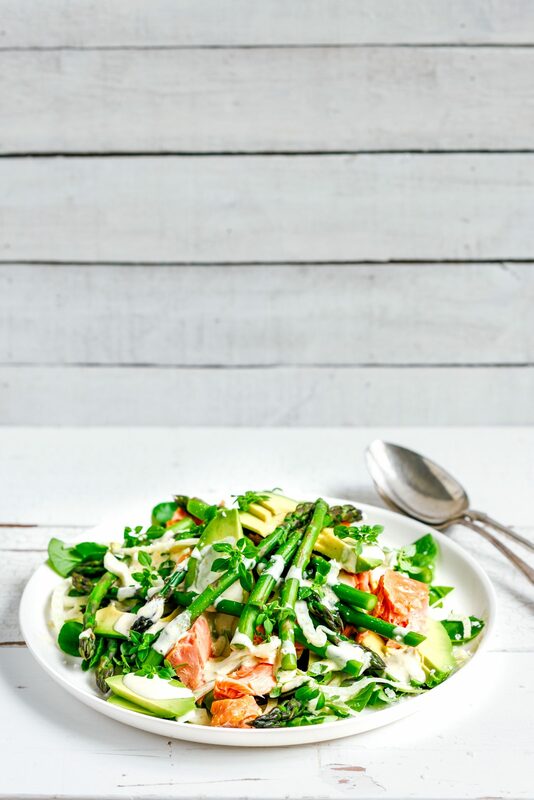 First up is this incredibly easy but satisfying salad that would make a perfect easy mid-week dinner or weekend lunch with friends. 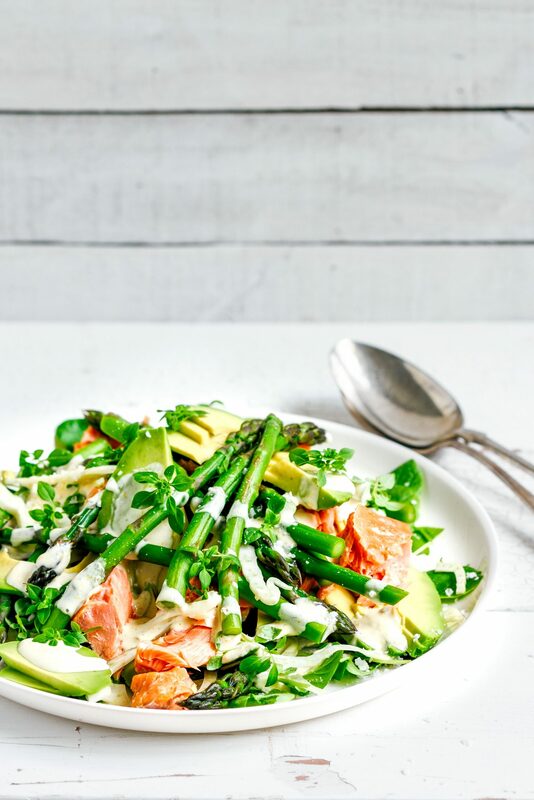 The flavours are pretty classic – slightly aniseedy fresh fennel, rich hot smoked salmon, fresh bright new season’s asparagus, peppery watercress and creamy avocado with a hit of lemony mayo. The trick is to see how many of those fabulous components you can get into a single mouthful…well worth the effort! Whisk the dressing ingredients together and store in a covered container in the fridge for up to 3 days. Three quarters fill a large pot or saucepan with water and bring to the boil. Drop asparagus spears in for 1 minute (2 minutes if thick spears) then drain and refresh immediately under cold running water, then drain again. Trim the base end from the fennel, halve lengthways and slice finely. Break the salmon into rough chunks and halve and slice the avocados. Layer the watercress onto a serving platter and top with asparagus, fennel, salmon and avocados. Drizzle with salad dressing, garnish with basil leaves and serve immediately.